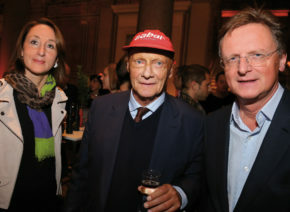 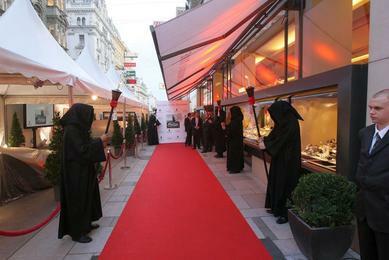 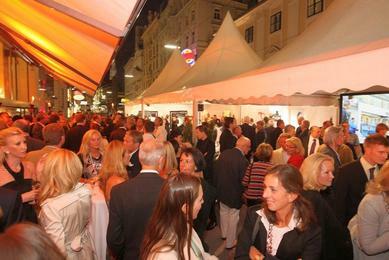 Central Vienna – Kärntner Straße 32: an extraordinary scene awaited the invited press representatives and anyone who happened to be passing by in the early hours of the morning. 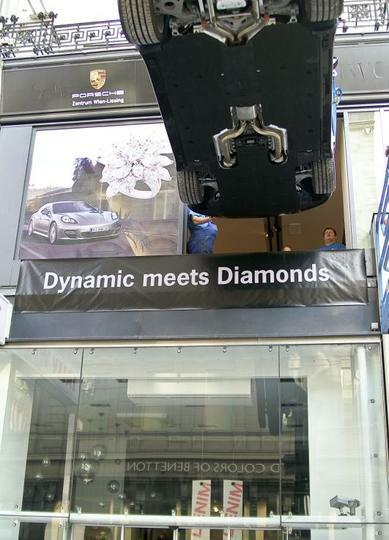 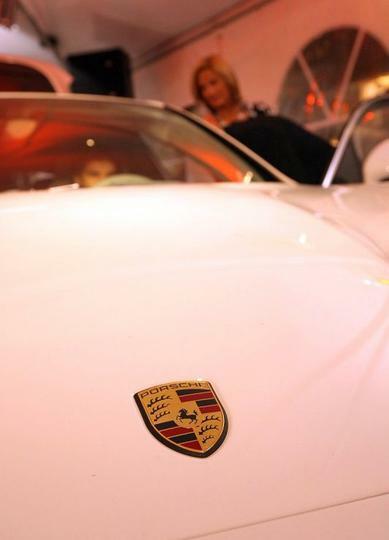 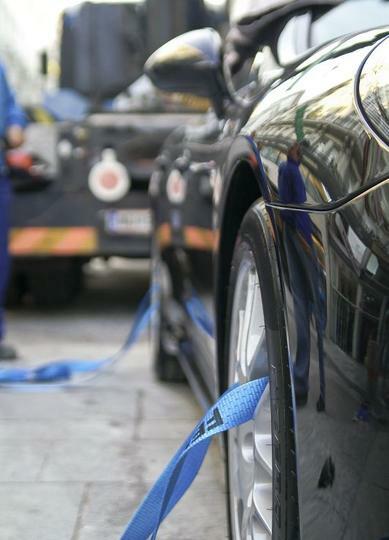 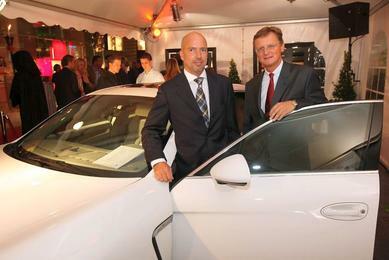 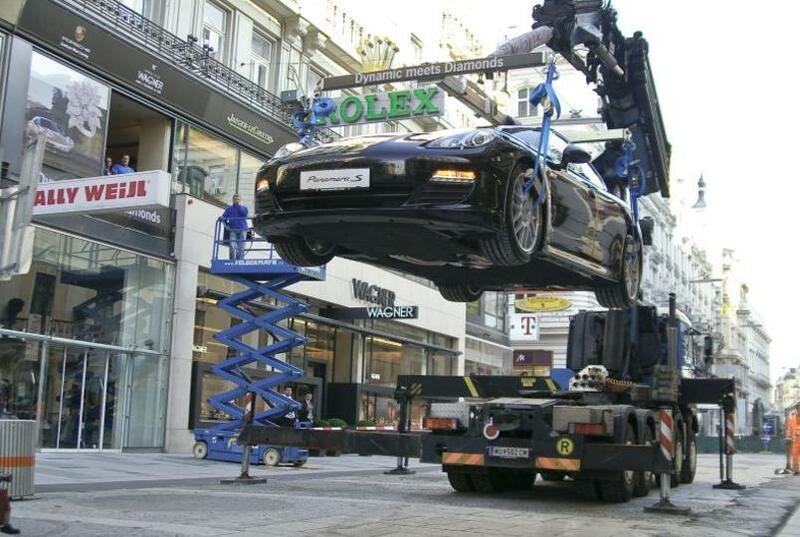 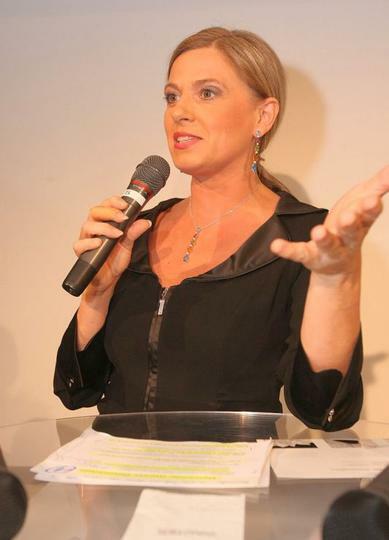 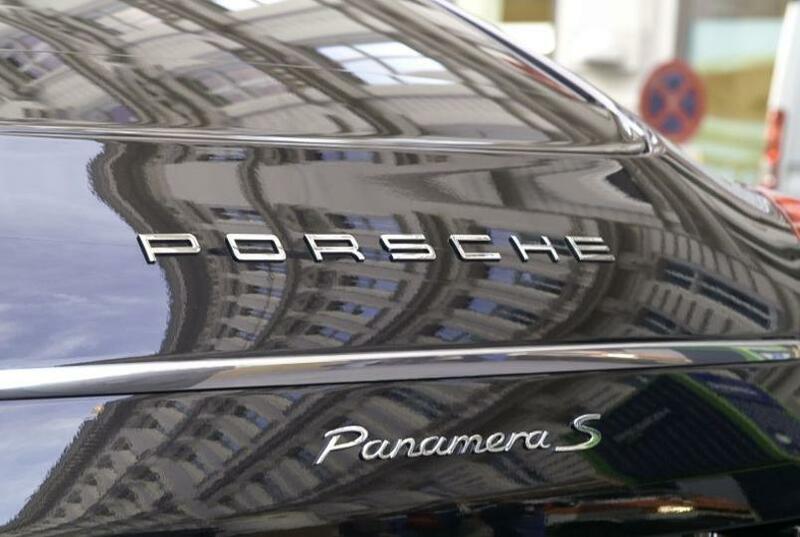 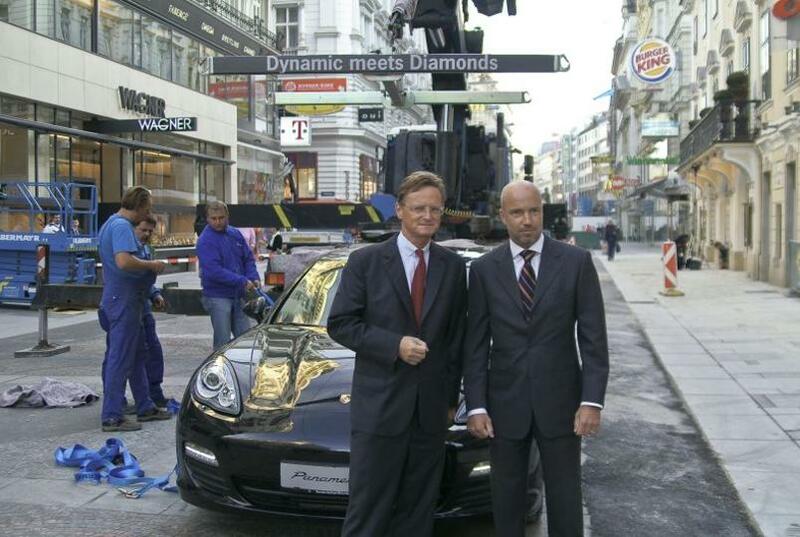 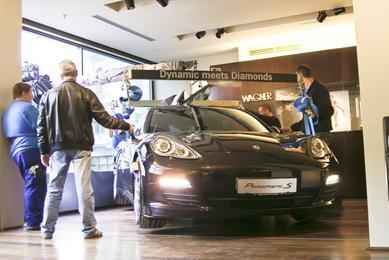 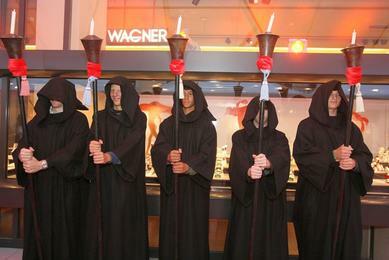 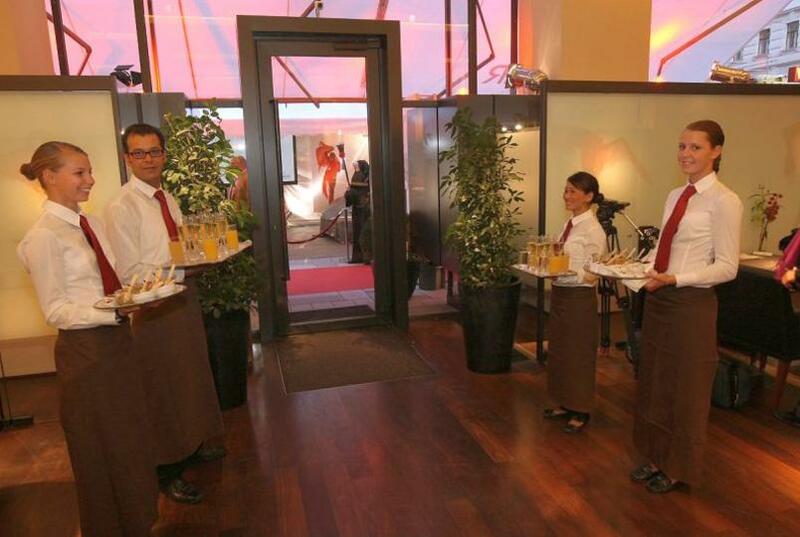 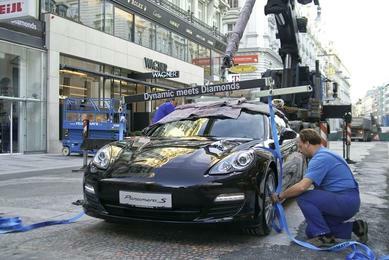 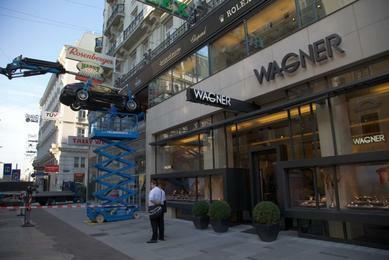 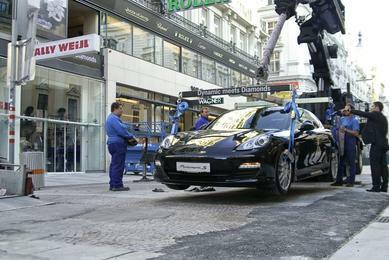 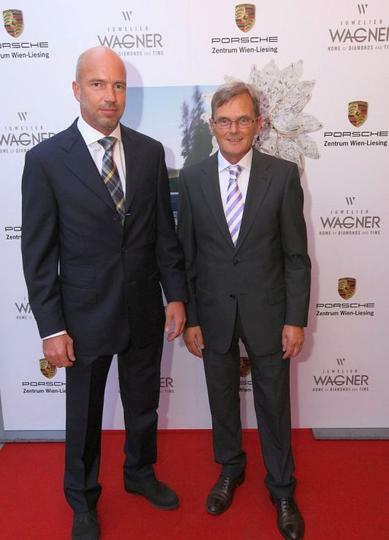 In front of the business premises of Juwelier Wagner stood a mobile crane fitted with special equipment, and the new Porsche Panamera, around the wheels of which “claws” were placed. 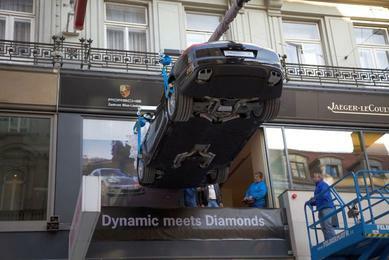 The crane very slowly “floated” the Panamera towards the first floor. 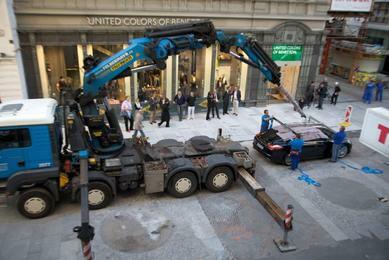 Heads appeared from the window of the “Beletage” as people watched the spectacular crane manoeuvre. 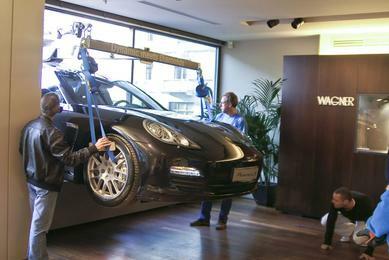 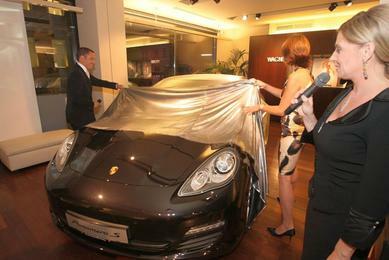 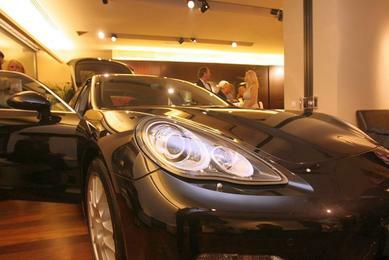 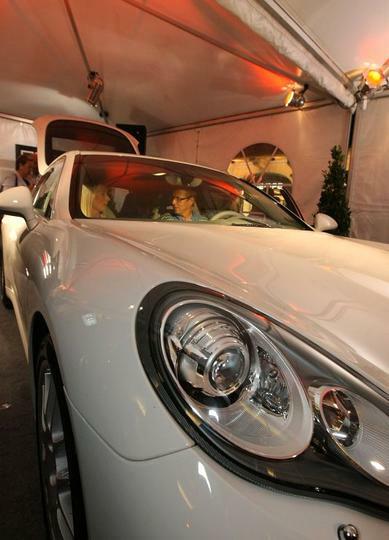 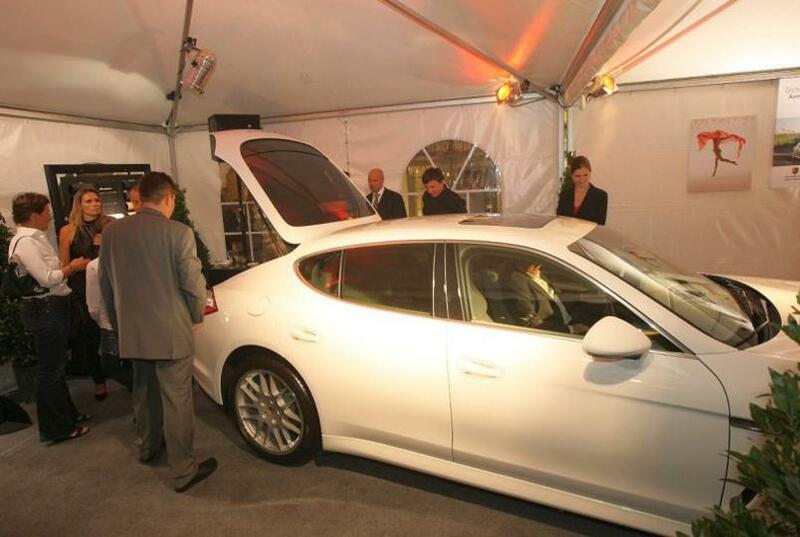 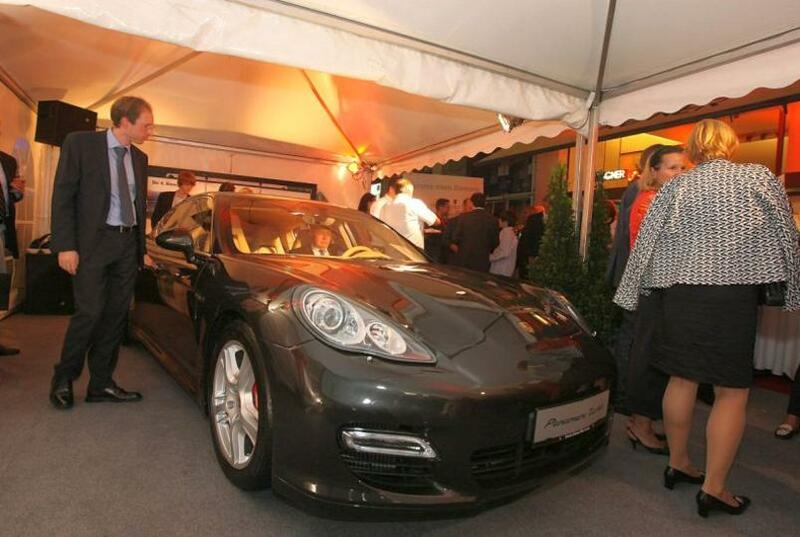 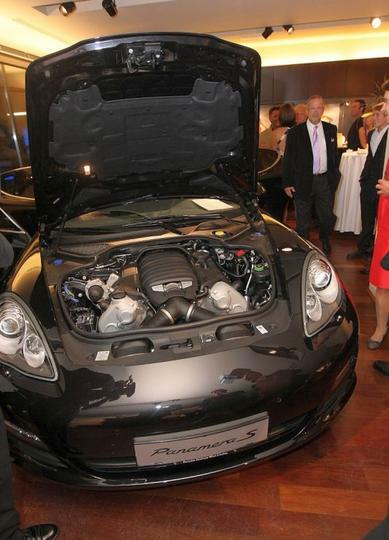 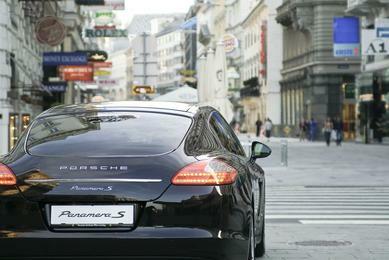 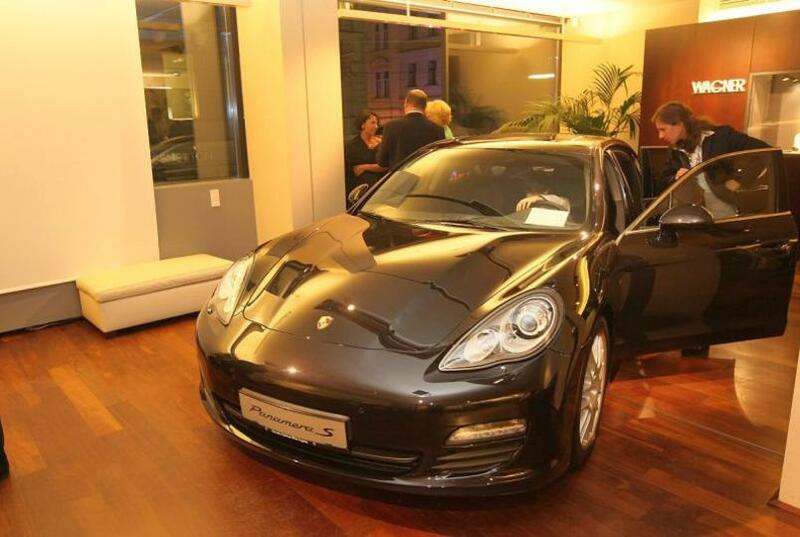 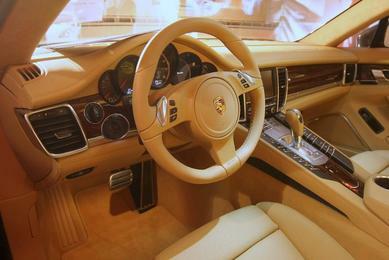 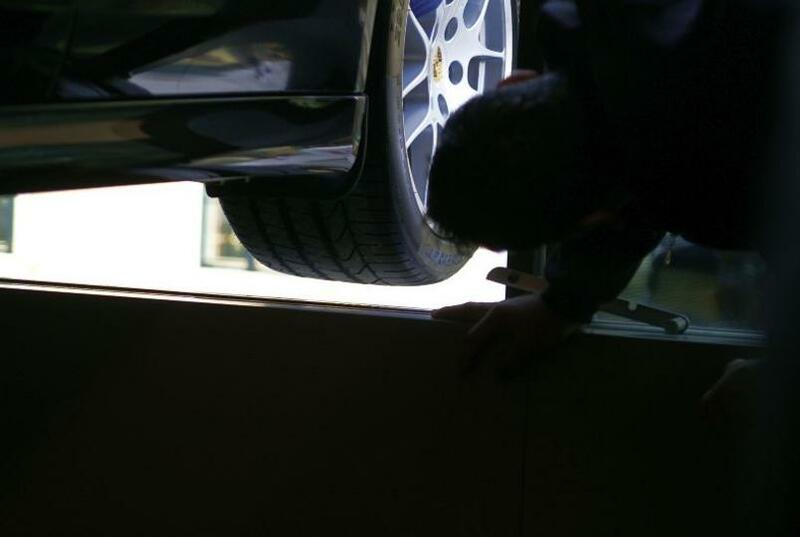 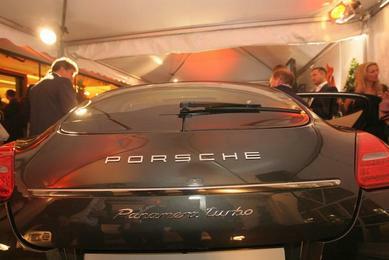 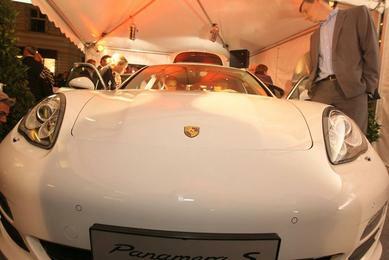 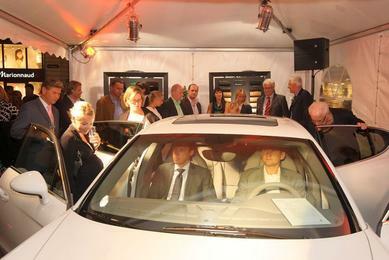 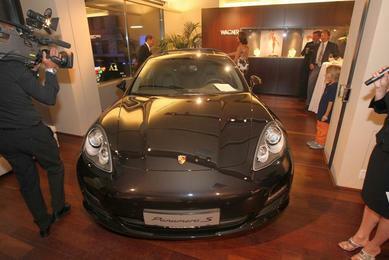 The Panamera, 1.931 mm wide and 4.970 mm long, was lifted through the 2.200 mm wide open window. 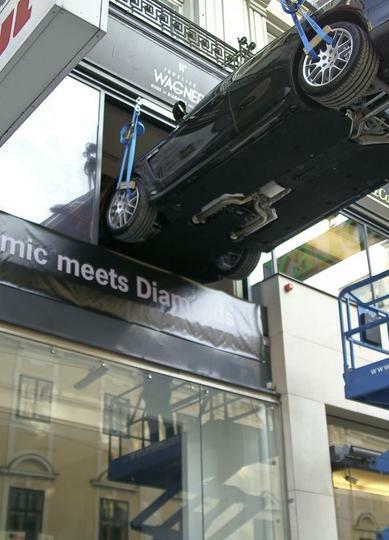 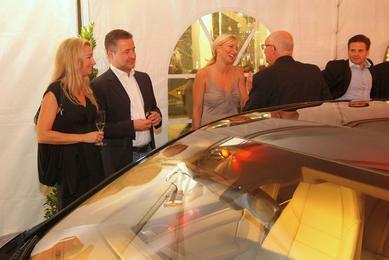 A special crane attachment made it possible to heave the 1.418 mm high limousine through the window. 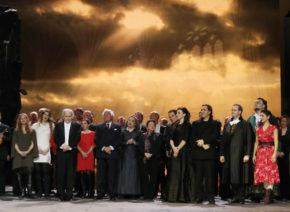 And all without the façade even being touched – a brilliant performance! 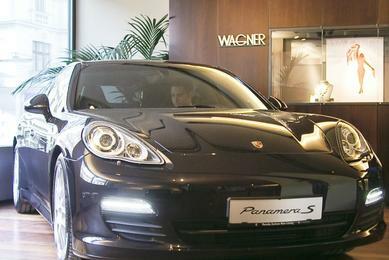 In the 1st floor, the dynamic appearance of the sporty Porsche limousine meets the legendary radiant power of the eternal diamond from the house of Wagner. 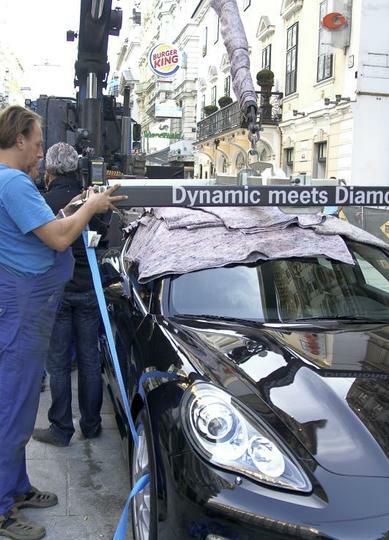 A meeting that takes us into the realm of daydreams: Dynamic meets Diamonds. 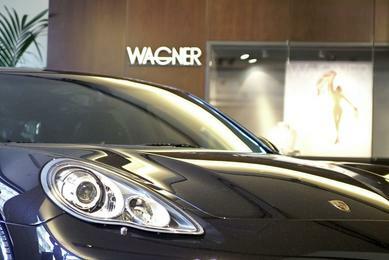 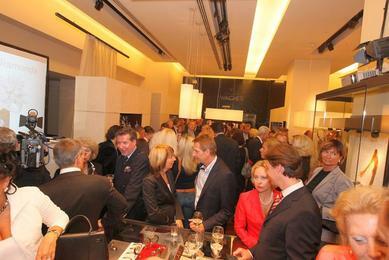 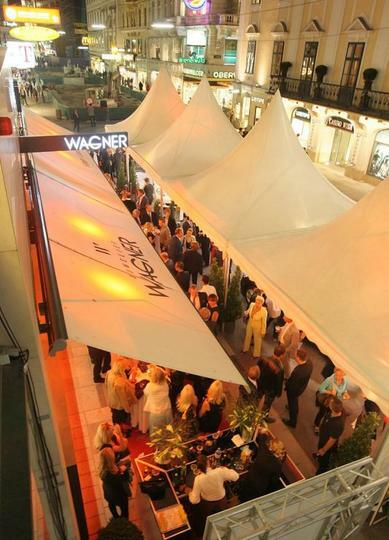 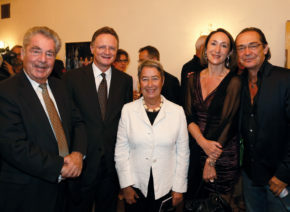 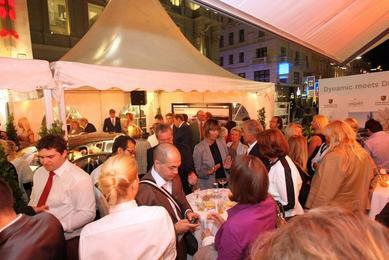 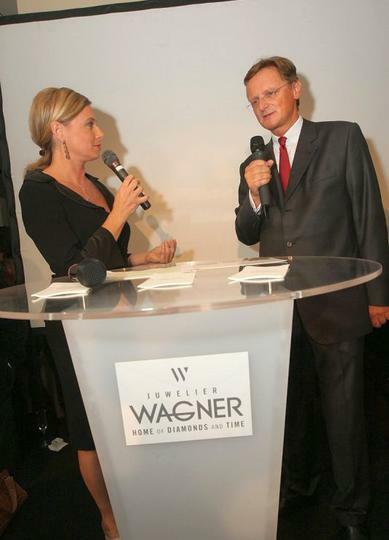 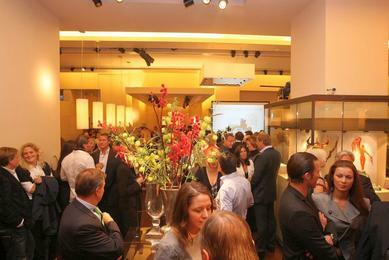 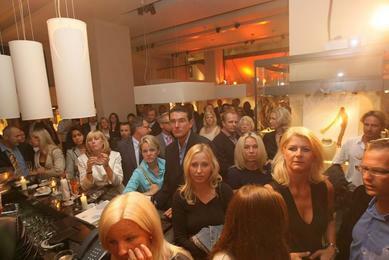 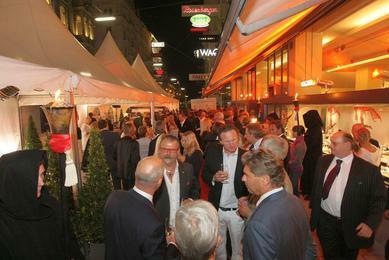 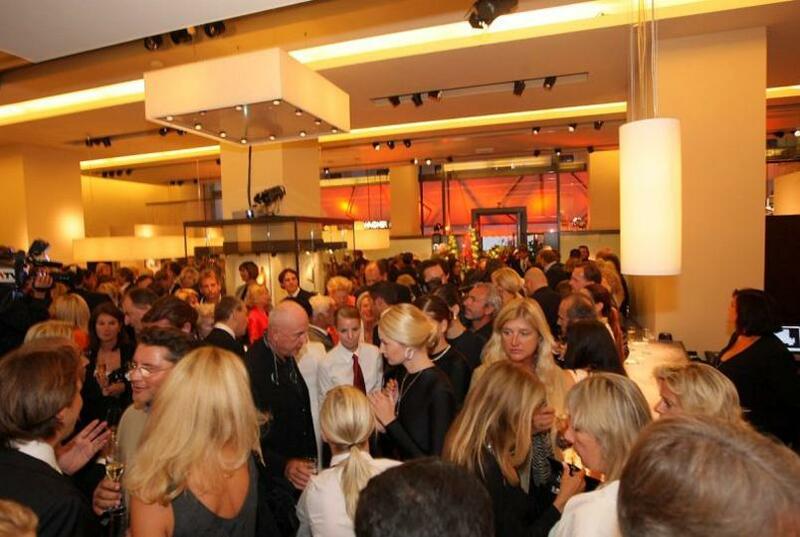 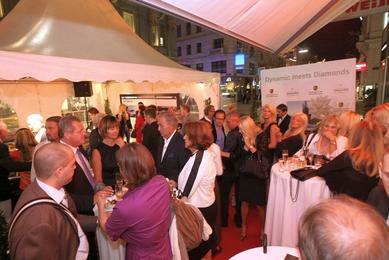 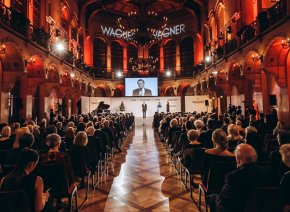 In the “Beletage”, the latest sparkling models from the Wagner jewellery collection “Masterpiece” are presented. 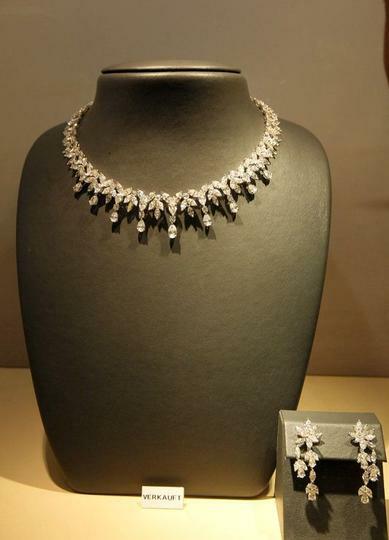 The modern and contemporary interpretation of the jeweller’s art at the highest level of quality is dedicated to the everlasting beauty of the diamond.